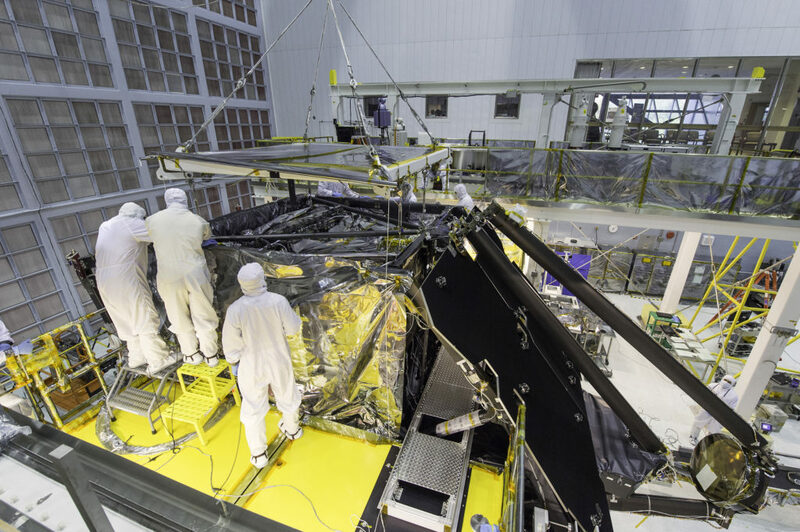 May 24, 2016 – With surgical precision, two dozen engineers and technicians successfully installed the package of science instruments of the James Webb Space Telescope into the telescope structure. The package is the collection of cameras and spectrographs that will record the light collected by Webb’s giant golden mirror. 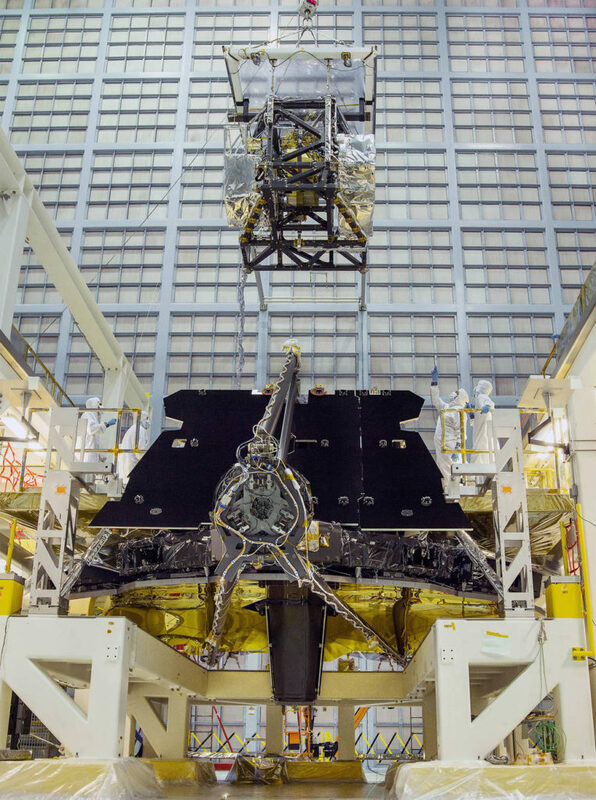 Inside the world’s largest clean room at NASA’s Goddard Space Flight Center in Greenbelt, Maryland, the team crane-lifted the heavy science instrument package, lowered it into an enclosure on the back of the telescope, and secured it to the telescope. Before the procedure, the engineers and technicians had trained with test runs, computer modeling and a mock-up of the instrument package. This is a critical mission operation. Now that the instruments, mirrors, and telescope structure have been assembled, the combination will go through vibration and acoustic tests in order to ensure the whole science payload will withstand the conditions of launch. Lockheed Martin built the ultra-sensitive, highly precise Near Infrared Camera (NIRCam) instrument, which serves as both the primary science instrument and the primary mirror-alignment sensor aboard the telescope. The powerful primary mirror was built by Ball Aerospace & Technologies Corp. Ball Aerospace also developed the secondary mirror, tertiary mirror, and fine-steering mirror.